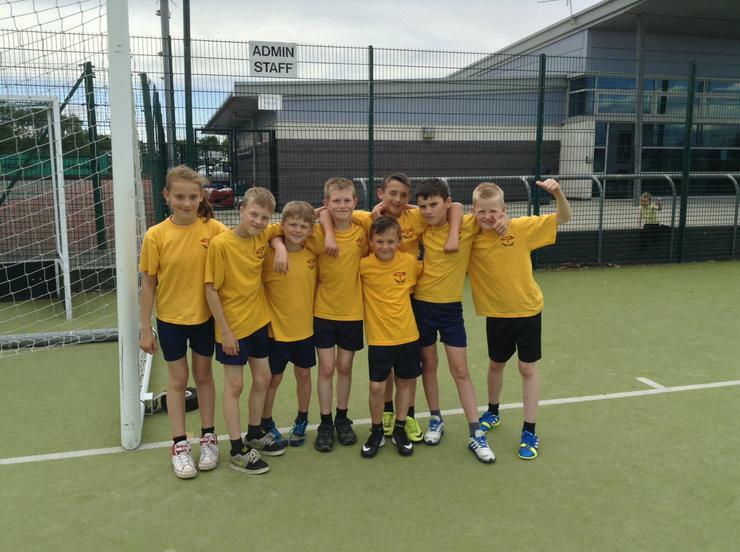 Cricket Team through to County Finals!! After last weeks success at the Gateshead Kwik Cricket Tournament I took the team to Whickham School & Sports College to compete in a play-off final against Ryton Juniors to see who got through to the County Finals day next Wednesday. As it was only going to be one game I had to leave out two children which was a very hard decision for me after everyone played so well last week. Unfortunately Liam and Olivia were the unlucky two to be left out, but I promised them both that if we won then they would be going to the county finals as part of the team again and they would definitely be involved in the cricket team next year as they are only in year five. We won the toss of the coin and elected to field first which had served us so well last week. Each child again had to bowl an over each consisting of six balls. We bowled well, not as well as I would of liked but we managed to take a few wickets. It was our fielding that let us down, we dropped to many catches and mis-fielded on a few occasions which gave Ryton the upper hand going in to the second half. They scored 37, meaning we needed 38 to win. The first four overs didn't start great for us, Paul and Lewis got us off to a good start, but we lost four quick wickets, before Abbi and Jake gave us a bit of stability. But I felt we needed a miracle and a lot of luck to claw the game back to win. With two pairs left to bat, Kieron and Jack, and Kieran and Luke we needed about 32 runs to win. I knew if we didn't lose any more wickets we had half a chance. Kieron, our team captain lead the way with his partner Jack and scored eleven runs in their two overs with some super shots and good running between the wickets. Now it was the time for the 'Brown Brothers' Cometh the hour, cometh the men! Needing 21 off the last two overs, I told the boys we needed big runs and to not lose any wickets. They duly obliged and did everything I asked of them. They played some great shots, ran hard between the wickets and did not lose a wicket. We won, but only just, by one run!! We were winners and through to the county finals which is a fantastic achievement and I am very proud of the team, all ten of them! !